Haggerston demonstrates high ambition and aspiration for all of its students, including the more able and talented. There has over the past two years been a meticulous drive to raise the standards of our Policy, Provision and Practice for MAGT students to a judgement of outstanding and in November 2015 this was confirmed through the successful achievement of the Nace challenge award. Students are identified as more able and talented (MA) based on KS2 SATS results (a national criterion) and on their gifts and talents (GT) in individual subject areas. This register is shared with all staff, students and parents and their progress is monitored by the MAGT co-ordinator as well as through the usual Haggerston reporting system. All subjects consistently audit and develop curriculums to ensure there is challenge, excellence and also risk for students who are MAT. The offer both in and out of the classroom at Haggerston gives opportunities and experiences to demonstrate ambition and the important Haggerston character traits of resilience, curiosity and community spirit. Whether through a visit to a university, joining the masterclass London conference, participating in the MAGT mentoring scheme or ‘Cooking and Speaking in Spanish’ in after school activities, our More Able and Talented students can find a wide variety of ways to achieve and celebrate successes. ‘has created an environment where staff and students have high expectations of themselves and one another’. The nace award assessed every aspect of our provision for more able and talented students at Haggerston , the achievement of this award showed there was excellence throughout. More Able (MA) refers to students whose prior attainment (KS2 results) indicates they have the potential to achieve high outcomes across a range of GCSE subjects. Gifted and Talented (GT) students are those who have a particular skill in a subject for example in Music, Drama, Art, PE, Computing, IT, Technology and the practical elements of Science. Some students are both more able and have talent for a particular subject. What provision and support does Haggerston have in place? At Haggerston School we recognise that our More Able, Gifted and Talented pupils need access to broad, balanced and challenging curriculum opportunities to enable them to be inspired, stretched and driven to achieve both in and out of the classroom. With this in mind, we develop the curriculum specifically to address challenge. We achieve this by offering activities that extend and enrich their learning and promote high attainment and good progress. We review and audit our provision and practice and where appropriate, pupils will move through their learning at a faster rate than their peers on accelerated courses or by studying at an advanced level. For example, we offer advanced Maths for Year 11 students or the Extended Project Qualification for Sixth Form students. The MAGT mentoring scheme is a chance for individual MAGT students to discuss how best they can be supported with the MAGT lead practitioner or their teacher mentor. Working closely with year teams the lead practitioner identifies students who may need a mentor. This can be based on progress, involvement in extra-curricular activities, specific interest based opportunities or on the request of a student or parent. 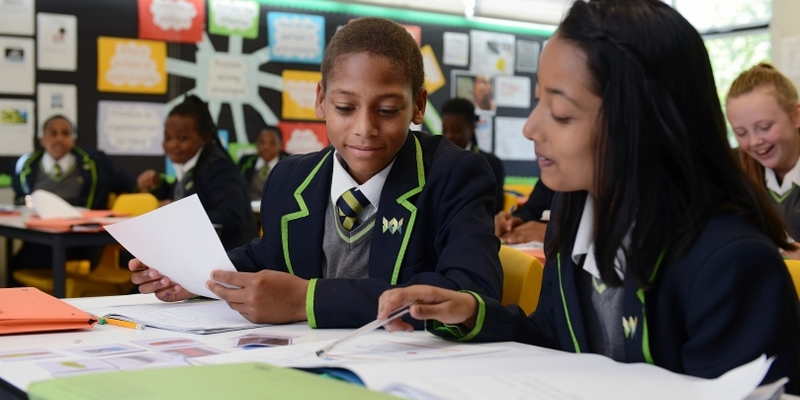 Through the curriculum, through outstanding teaching and through the vast array of enrichment opportunities at Haggerston we ensure students are challenged, build resilience to learning with greater autonomy and have experiences to inspire their ambition. How will a parent know if their child is MAGT? If your child is MAGT you will receive a letter and support pack from the school. The letter will identify whether the student has been identified by prior attainment at KS2 or by a particular subject for their gifts and talents in that area. The pack will explain the provision for MAGT students and how best parents may support them. How can parents support MAGT students? The role of parents in all students’ education and development is essential to their success. Parents can support their more able and talented children in a variety of ways, such as supporting their interests through outings and visits, actively encouraging their hobbies, reading with them and developing their curiosity through asking questions. Gifted and talented children often like playing games, performance and expressive arts, solving puzzles and enjoy interacting both with adults and their peers. Each more able, gifted and talented child has an individual set of needs and expectations which can be met with the school working in partnership with students and parents.